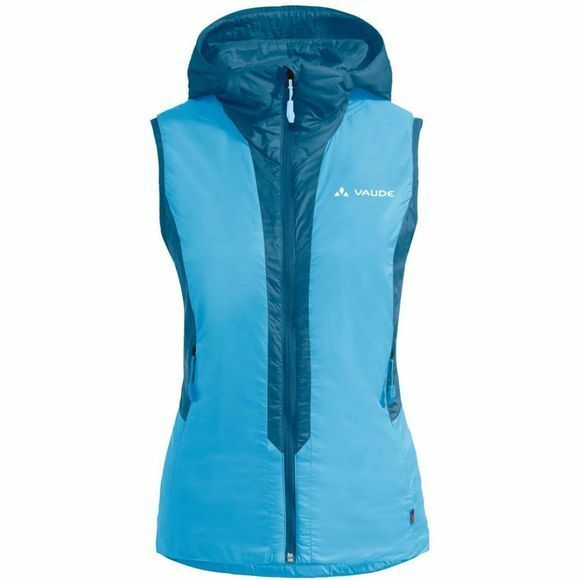 The Freney Hybrid Vest is padded with water-repellent synthetic fibers made from recycled polyester (PrimaLoft Silver Insulation Eco). Stretch inserts ensure optimum freedom of movement during mountaineering. 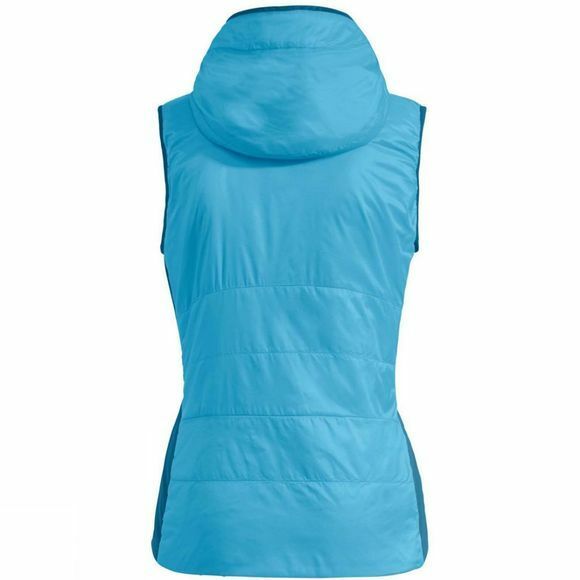 This form fitting thermal vest with a warm hood has a very small pack size and will always find room in your pack on a mountain tour. It can also be perfectly combined with rain and wind jackets. The high-quality nylon outer material scores thanks to its low weight and high abrasion resistance. The stretch material is made of recycled polyamide, which is obtained from materials such as used fishing nets in an upcycling process. The VAUDE Green Shape label stands for environmentally-friendly, functional products made from sustainable materials.